In my last post, I talked about the benefits of gardening that help outweigh the expense. Gardening takes time as well as money, in the form of equipment, soil amendments, fertilizer, and water. One of the ways I noted that makes gardening worth it anyway is the incredible plant varieties available to grow. Even at the many farmers markets we can visit in the Bay Area, there are still veggies you just can’t find for purchase, or can find, but only for unreasonable prices. 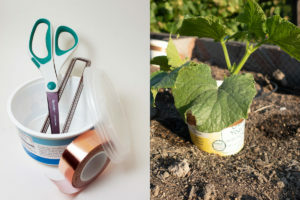 I’ve compiled this list of the five plants I think provide the best ROI for the SF Bay gardener. Have you had fresh Borlotti or Cranberry beans? Their season at the markets is very short, and they seem to sell out very fast, despite their extravagant price. Their leathery white pods are speckled with purple or red, and the beans inside are a pale peach color with red spots. Some are “true” Cranberry beans, with full purple-red color. They lose their spots and color when cooked, but their flavor is amazing. Fresh beans like these are not common–you don’t ever see “fresh” pinto beans at the market–and to be clear, these are not green beans! 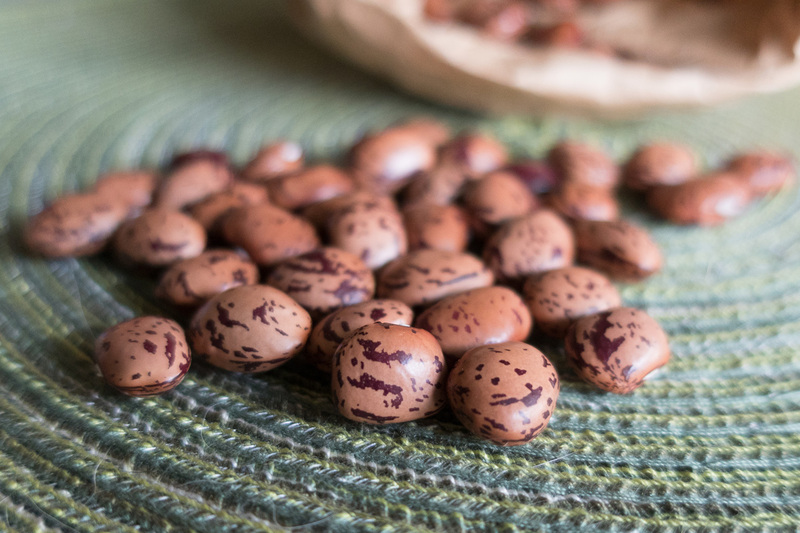 These are soup beans that have fabulous flavor, and are best enjoyed when ripe (you will see this listed as “shelling beans” in seed catalogs), but not dried. The other reason growing your own beans is a money-saver is that even dry beans can be expensive, especially if they are organic. I’ve seen 1-lb bags of Racho Gordo beans go for upwards of nine dollars, and the varieties can all be found from seed companies. Buy a pack of 25 for a few dollars, get thousands when you grow them! Because of the short season, if you (like me) can’t get enough of these beauties, I recommend growing them in staggered plantings throughout the summer. If you live in an area with enough sun, you should be able to harvest all summer. You might also consider planting more than you think you want since, like many legumes, you can plant them close together without compromising your harvest. You will need to provide a trellis or strings for the vines to climb for some Borlottis (Cranberry beans are bush bean, so will be compact). Be sure to make the trellis accessible for harvesting. These beans are surprisingly sneaky, and I guarantee you’ll find a few months later, dried in their pods. I’ve seen interesting varieties of tomatoes at Trader Joe’s and some farmers markets, but I never see a bunch of any one really unusual variety. 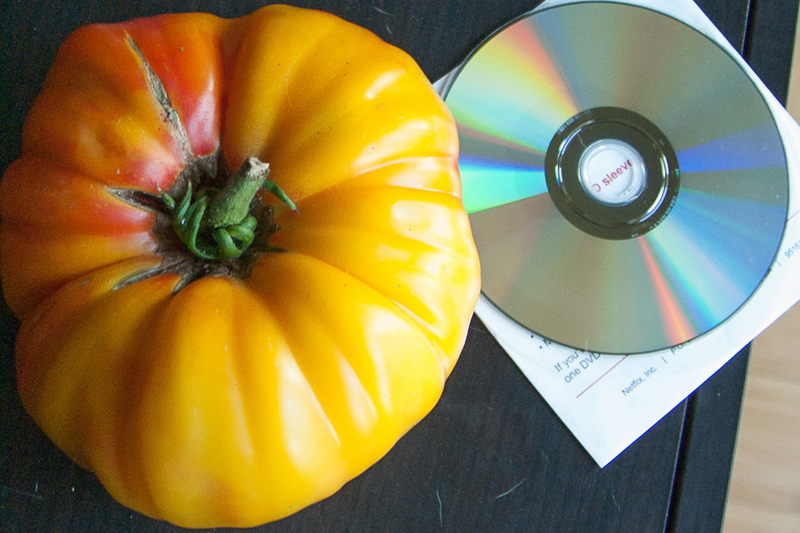 There’s usually an “heirloom assortment” with a few green, black, and yellow tomatoes. It feels like pandering. I want to try a tomato variety. I demand a thorough examination in sauces, salsa, fresh-eating, and maybe even canning. Growing your own tomatoes will give you that freedom to have a lot of one variety, and to really try it out. If you like the assortments, you can grow several different varieties each year and enjoy some very colorful caprese salads. 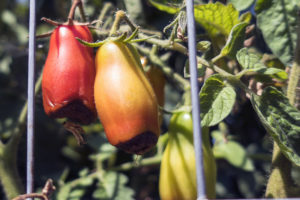 There are so many varieties of tomatoes, you will probably never find all the ones you want to try for sale, so growing is the really the only solution. OK, I know, there’s kale at them there farmers markets. Lots of it. Different varieties. Yes. But do you know what’s better than any farmers market kale? Fresh-picked, 3-minutes-old kale. It. is. so. good. Tender, sweet, and crunchy. You will be ruined for kale that has traveled for any length of time to get to you. 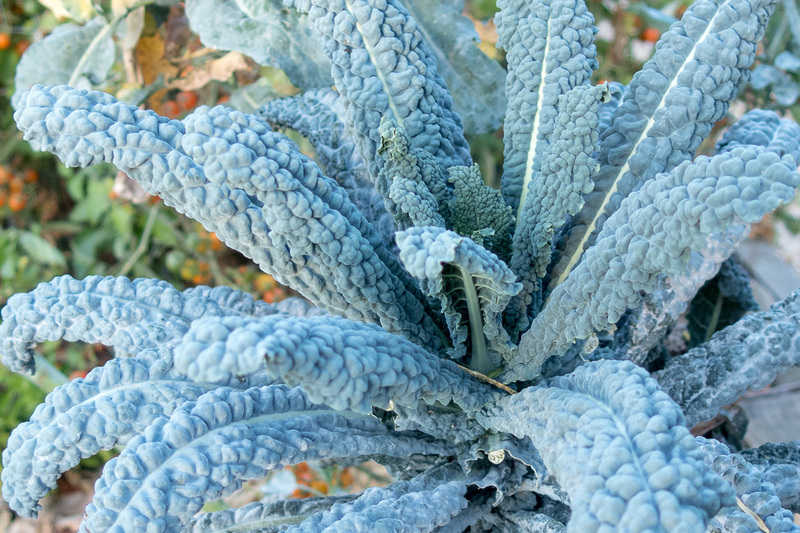 What’s beautiful about kale is that it loves our weather, and just keeps growing–a “tender perennial.” I’ve found it to not be picky about soil (my best kale ever were volunteers that sprouted in an area of hard clay that I barely ever watered), and have seen some plants produce sweet leaves for two full years before flowering and going to seed. 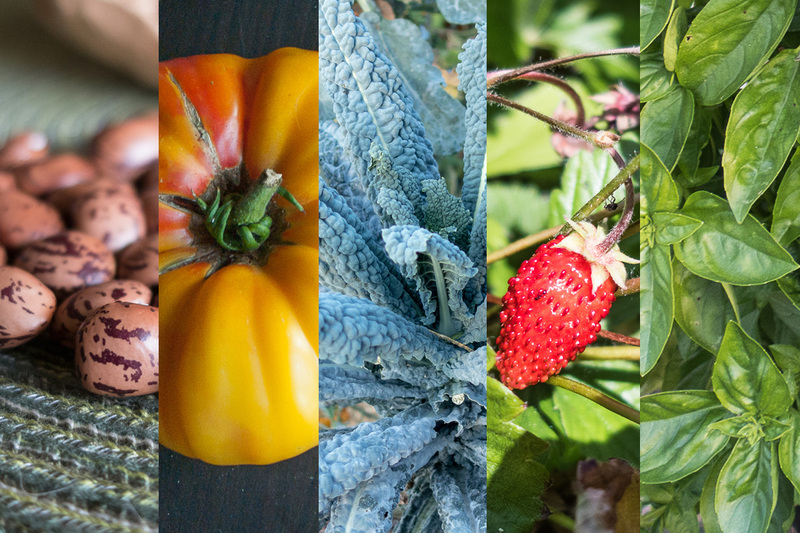 A plant that’s easy to grow, that can be harvested at your leisure, and tastes amazing? Definitely worth it. I have never even seen these little guys at a market. Picture a strawberry about the size of your baby toe. It’s less firm than a normal strawberry, but so much sweeter. So sweet, in fact, that it almost tastes like fake strawberry flavoring. Now imagine these growing in tiny little plants that bear fruit almost all year round. Unless you are farming these, don’t expect to get more than a handful at any one time, but it’s so fun to find a sweet treat when you visit your garden. My kids love to search for them and eat them straight from the plant. You can start these as seeds, but be very patient as they may take a month to sprout, and wintering the seeds in your freezer ahead of planting will encourage germination. I was lucky enough to discover these little beauties at a local nursery, so be sure to ask for them. Even if the nursery doesn’t carry them, they may be able to order plants for you. “Fragaria Vesca” is another name for them. 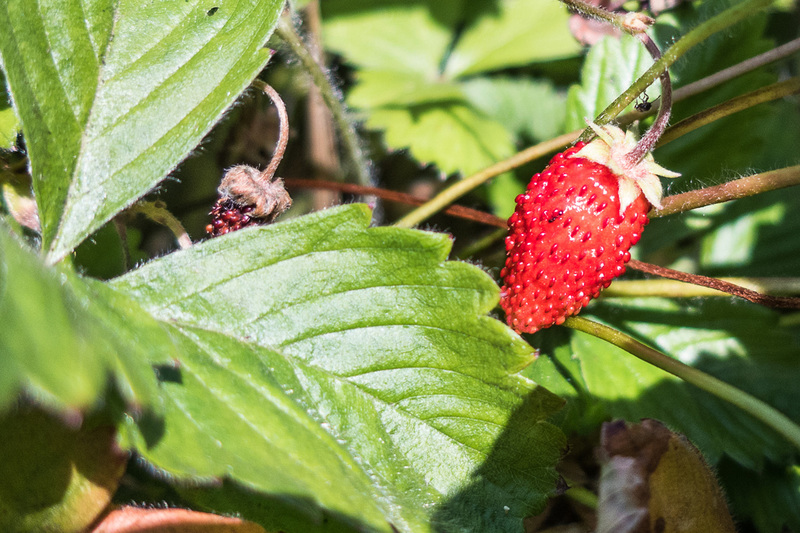 Ants love the soft little fruits, so I usually tend the plants by finding the young, white strawberries and hanging their stem over some leaves to lift them off the ground. The less they touch the ground, the less likely that ants will find them. Italian Genovese Basil, trying to flower. Be sure to pinch back often for a bushier, longer-lasting plant. Pesto and caprese salad are two of my family’s favorite foods, but whenever I buy basil, I feel like I never have enough. If you’re in a sunny area, you can have some very happy basil in a short period of time. Just keep it harvested by plucking any flowers right away (so it doesn’t go to seed) and get it to be bushier by picking leaves above stems where tiny leaves are forming. 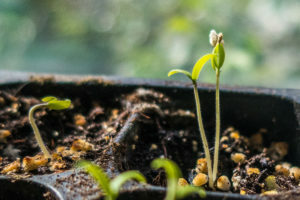 Basil seeds do not stay viable for very long, so you can either purchase seeds every year or do what I do: get the BIG packet from Botanical Interests and plant a normal amount the first year, and then TONS of seeds the years after that until you run out. 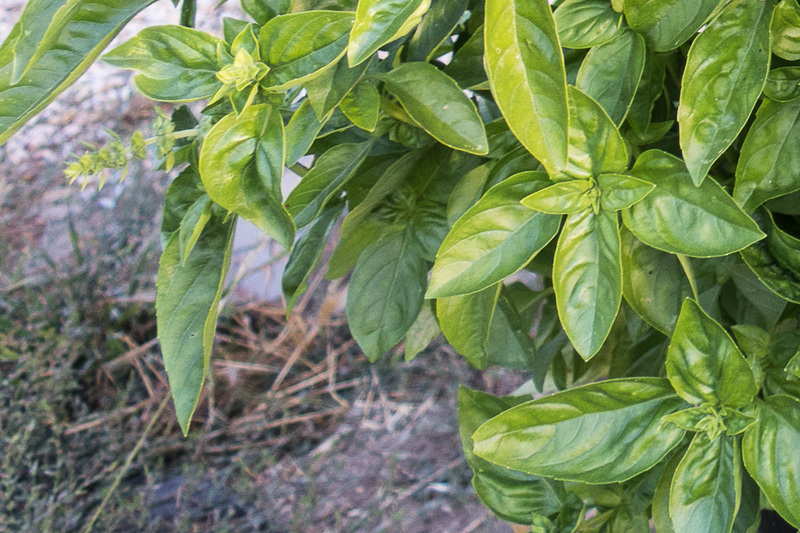 Basil loves the heat, so growing in a container can help the soil warm in the sun.